Please arrive 10 minutes prior to your initial appointment to fill out any necessary paperwork. Please be on time. We pride ourselves on being punctual but this only works if our patients arrive on time as well. Should you need to reschedule or cancel your appointment, please inform us at least 24 hours prior to your scheduled appointment. We deliver a professional service and respect your rights, dignity, privacy, feelings and cultural customs. Your referral letter. How to get a referral. Your Private health insurance card which will help process HICAPS claims and allow you to claim your rebate immediately. Bring your Private health insurance card with you (if you have one) as we have HICAPS facilities and can help you claim your rebate immediately. Most insurance companies cover physiotherapy and remedial massage treatment but the coverage and consequent “gap” will vary with each plan. Bring your insurance information to your first appointment, including claim number and case manager information. In most circumstances (except for initial commencement of physiotherapy), pre-approval of your visit will need to be obtained from the insurance company. Paid street parking is available on Help Street and other surrounding streets. Please note that parking inspectors patrol the streets regularly. There are also many parking stations in the vicinity. If you are willing to walk 10 to 15 minutes, 3 hours free parking is available at Westfield Chatswood. Paid parking is available on Hunter Street and other surrounding streets. Please note that parking inspectors patrol the streets regularly. There is also the Justice Precinct Car Park which is directly across the road from the clinic. Click here for a full list of prices. If you are willing to walk 10 to 15 minutes, 3 hours free parking is available at Westfield Parramatta. A valid referral is required to consult with one of our Rheumatologists in order to be eligible for a Medicare rebate. 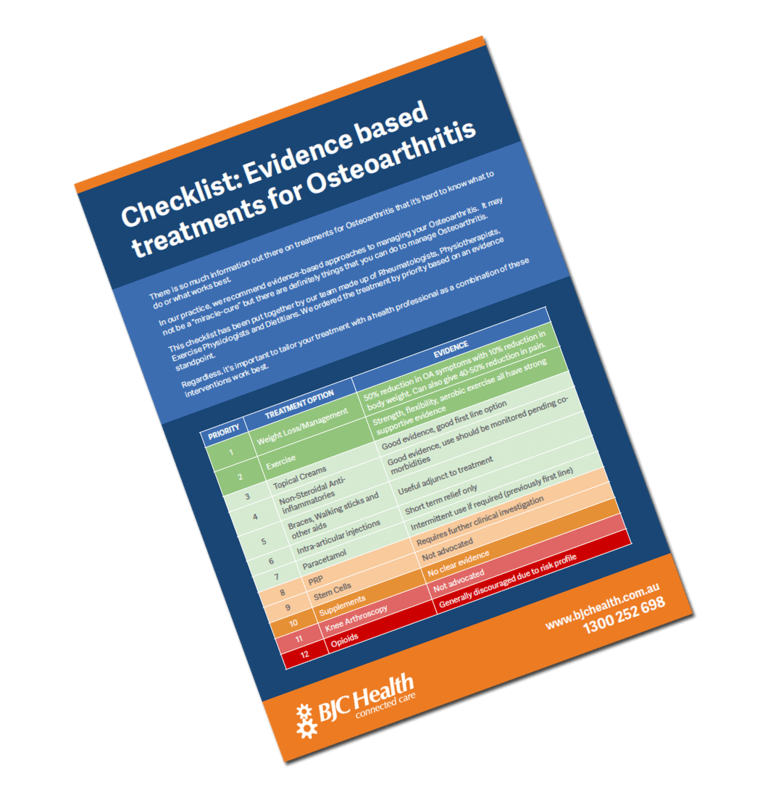 A referral for a Rheumatologist can be obtained from your GP or from another specialist. A referral from a GP is valid for 12 months and a referral from a specialist is valid for 3 months. A referral is not needed to see any of the Allied Health team.